Tuesday Tips-Ways to make life easier. 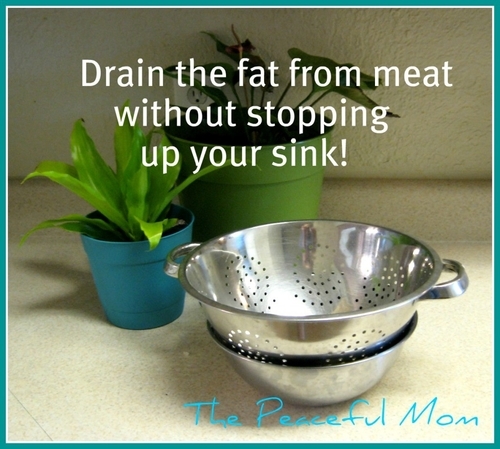 Today I’m sharing an easy way to drain the fat from cooked meat without having to call the plumber! I place the colander into the metal bowl and place the entire “contraption” into the sink. I then pour the cooked ground beef and fat into the colander and allow it to drain for a few minutes. After a few minutes, I move the colander with the ground beef back to the skillet and I carefully pour the grease left in the metal bowl into a recycled glass jar. Once the grease has completely cooled, I throw it in the trash. No more clogged pipes! 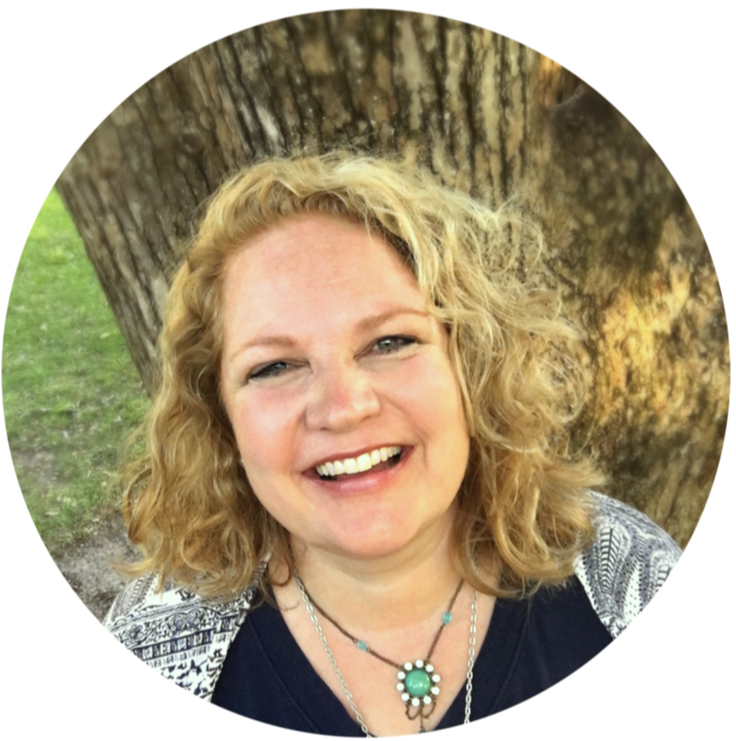 Read how I feed my family of six (including 4 teens!) 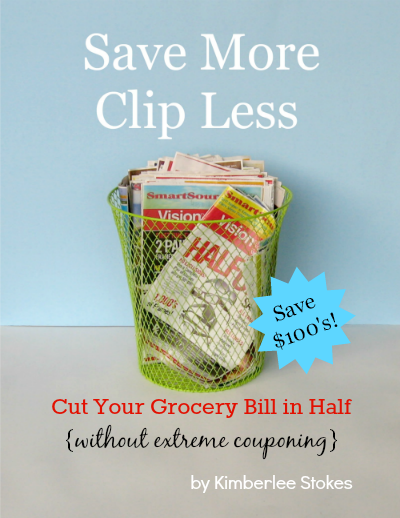 for $125 a week including gluten free items without couponing in my Save More-Clip Less ebook! Love to save money? 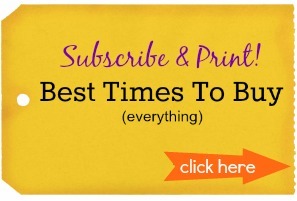 Click here to subscribe to my weekly eNotes with ideas to save money, get organized and enjoy life PLUS print my Best Times to Buy Guide FREE! I tried to read all the comments, but….well, time has a way of getting in the way…so forgive me if this is a repeat. We drain the grease into a bowl lined with foil. Once the grease has hardened, we just bundle up the foil packet and toss it out with the trash. No freezing, no scooping, no smelling, easy. Thanks for the idea Dominic! Great idea – thanks for sharing it with us! I pour slightly cooled grease into a 2 lb ricotta cheese container and freeze. When filled, I toss. I fill the sink with cold water strain the hamburger out..after about 15 mins the grease is floating at the top as a solid..just spoon it out into a trash can or there are countless other things you can save and use this for..I believe some people have made soaps or candles..but I don’t know anything about that. Thank you Dominic – great advice! I take a large soup can and rinse it out and take off the label. Then I take the heals of bread or pieces that are stale and crumble them up into the can. I store it in the freezer with a plastic bag over it. Then every time I do meat I pour the grease into it. If there are a few raisins left over and hardened into the box they go in or seeds. When full and frozen cut off the bottom and stick a wooden skewer through so it goes along one side. push through a piece of twine along the opposite side. Instant bird feeder. and there is no waste. recycle can when birds are done with it. But keep them coming….. birds love them. That is a fantastic idea Lizabeth! Thanks! I put the fat in an empty metal coffee can and put it in the freezer. When the can is full, I put it in the trash on the day trash is picked up. A glass bottle can break and really make a mess. Or you or the sanitation worker can get cut. I do this too, but I save the grease to make suet cakes my chickens. Just freeze the fat until I have enough, then melt it, add scratch grains, bird seed, raisins, nuts, & bugs we caught and froze over the summer. Then pour the mixture in a 9X13 pan and stick in the freezer to set. After it is set, cut into squares and serve. Thanks for this terrific idea Nikki! I have done this since I was a child learning how to cook and clean up afterwards. My mom taught me to pour the drained fat into an old coffee cup, after it has cooled put it in the refrigerator to harden then on trash day scrap the hardened fat out of the cup and toss it in the trash. This is also great for bacon grease when you want to keep some for reuse. No wasted recyclable / reusable container going into the trash. I’ve never had a clogged drain due to grease in 35 years of running my own household. Thanks for the tips Tina! I have learned to do this over many years of clogged sinks. I save any kind of jar just for this reason. From jelly jars to pickle jars. Plus you never know when you might need a jar. I also use my jars to put either chicken salad, potato salad or anything like that. It’s a easy way to throw into your hubby’s lunch box and don’t have to worry if he will bring him home or not. ( yes, he does has done this to me with several of my NICE containers). Plus I can take some to a friend or a family member when they are sick. I have always drained it into an empty can. Then I keep it in the freezer until full. Then it goes out on trash day. (I have no dogs). It takes me a long time to fill the can, so the recycler won’t miss an occasional one. Am sure a small amount of grease would not cause dog obesity. Thanks for the tip Beverly! I drain into a metal bowl, let it cool, then wipe it out with paper towels or old newspaper. Toss them out or use in fireplace in winter. Try this. Line your bowl with a double layer of heavy duty paper towels, and set your colander in the bowl. Make sure you have plenty of overhang over the edges. A good six inches per corner should be overhanging AFTER the colander is in the bowl. Strain your meat as you normally would. Immediately fold the four corners together, and gently (SLOWLY: DON’T GET BURNED) lift the paper towels up, but make sure to keep the rounded bottom of the paper towels bellow the edge of the bowl (cheap ones can break). Wait for the liquid to drain through. It only takes about a minute. Just like that you have ready made filtered fat for making soaps and candles. Tip: Never throw away glass jars, or aluminum foil, into your regular trash. These are not biodegradable. Recycle them. 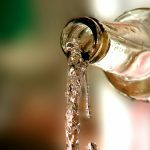 i have pour grease down the drain for years and years and years and never once had a clogged drain its a simple matter of turning the water on super hot and then pouring it and letting it run for a few minutes. save your self the trouble of straining and trying to get it in a jar and probably all over the jar and counter. Thanks for the tip Morgan! I put my fat into my silicone muffin pan and add birdseed and let harden. They freeze well. In the winter I put them out for the birds that didn’t migrate. They appreciate that extra fat in their diet. It helps them keep warm. Squirrels love these too. Basically you’re making homemade suet cakes. Better than the trash. Another idea instead of throwing the grease away, is when you USE AND NEED oil, butter, etc, use the fat! (maybe not in cookies!) I do this with bacon because bacon is so expensive and then I cook potatos in the fat. YUMMY! And honestly, is there that much of a difference between fat and butter when cooking? Another bonus- compared with olive oil, fat has a much higher burning temperature!!! Thanks Anouk (love your name by the way!). I cook the ground beef. Use a slotted spoon and spoon out the meat into a bowl with a paper towel in it. then I pour out the left over fat into a bowl. I keep a large plastic container that I keep in the garage until it is full. That way, I drain all of the fat from the meat, and store the grease. I save my fats, clean them then make soap. Turn “garbage” into a useful household item. When done properly it makes beautiful sweet soap. Then you can make laundry soap from it. Fat isn’t garbage. It’s an ingredient. Exactly. I use mine to make soaps of all different varieties. Different kinds of fat are better for different kinds of things. For example, beef fat, some lavender, and a touch of vanilla extract make an absolutely heavenly candle. I’m often surprised how wasteful some of these ‘tips’ are. This one doubly so. Why would anyone throw away a perfectly good glass jar? perhaps the original article should be modified to reflect all these improved ideas? I have worked for school kitchens for years. They get the really cheap hamburger, so we had lots of grease. This is what we did. Cook your hamburger meat with a small amount of water, when it was done drain it. 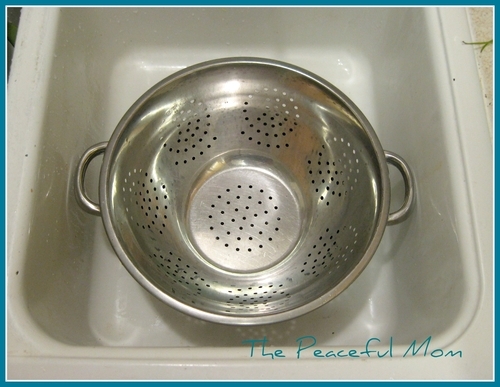 When at home I use a colander, let it drain, then rinse it a little with some hot water. Take your bowl with the grease and water, and sit it in your refrigerator. It will form a solid. Take the solid and throw in the trash, the liquid is just water, and can go down the drain. I have a large stainless steel bowl I use. Works great. Or just switch to ground turkey, cheaper, healthier and much less grease! I have an easier way….just used a square of aluminum foil over a bowl or jar. After it cools and hardens, just remove the foil and toss it away!! Thanks for the idea Laura! One thing i used to do when using meat is have an old plastic tub, marge or simialr at the side of me ready, have it stuffed full of leftover bread, seed and that sort of thing, then id pour the hot fat in the tub till full, allow to cool and hang up for the birds. Thanks for the idea Suz! just to add you do have to let the fat cool a little or the tub can melt making a horrid mess. more recently i just pour in to my dog dish and let her have it when cool. Hot grease is great for killing fire ant beds. It soaks all the way down into the bed and kills them all. Ooh, love that idea – thanks! My dad saves the grease then uses it to start the charcoal grill or a campfire. Instead of wasting paper towels use old newspaper; also great for cleaning glass, mopping up flooded areas and wrapping around broken glass to be thrown away. I use old coffee cups since they are biodegradable, pour fats into them and freeze them until garbage pick up of my green bins. Coffee cups are great at the sink for bits and pieces during the day as well. Thanks for the idea Mary! I use an empty 3 liter soda bottle. Let the grease cool, the pour into a soda bottle. 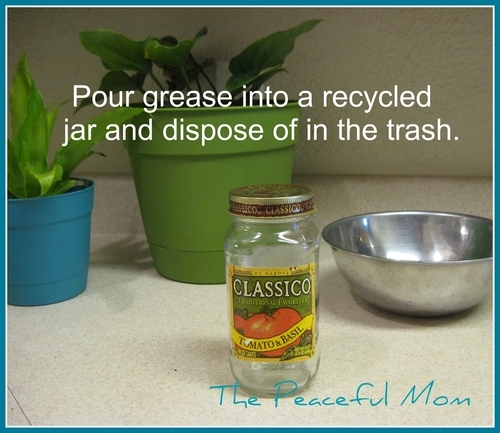 replace the lid, store in fridge or under sink until it is full, then chunk the plastic bottle. I go a step farther. Learned this years ago in weight watchers. I boil the hamburger in a couple cups of water. When the meat is cooked, drain into a bowl with a colander and refrigerate the broth in the bowl. When the broth is cool, the fat hardens and you can just lift it off and toss it In the trash. I then freeze the remaining broth which has plenty of natural geletan and makes a rich, fat free unflavored base for all kinds of soup. Add you own seasonings. Meanwhile, you have removed all the fat from the hamburger. Return it to the pan to finish browning and to dry out the remaining water. If u put it in a container u can hang from a tree and is accessible to birds they may feed from it. I only drain off grease when it impedes the recipe. What people don’t realize is that your body needs fat, more than what most people will eat. 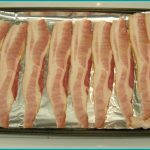 The idea that saturated fat is bad for you, or even that high cholesterol leads to heart disease is completely incorrect and is based on faulty science. Another poster said that she gives the grease to the dog for hair and skin health, but what about your hair and skin health? Going on a low fat diet can seriously speed up the aging process, creating wrinkles and accelerating hair loss. If you’re worried about your health, try skipping the pasta, potatoes, rice, beans, and bread. Discarding grease is a terrible idea not just because it’s bad for your health and your kitchen sink drain, oils do not decompose easily. Soaking a paper towel in grease insures that it will not break down as it would have without the oils coating the fibers. I had a glass jar explode from doing this…perhaps I didn’t let it cool enough first? But proceed with caution! I’m not saying this is a bad idea but I don’t do it any more because this happened to me. Sorry about that Valerie! I do let the grease cool a little before pouring it in and the glass jar is at room temperature, but that is a very good point. I use a similar technique….except – under the colander are a couple of grocery store bags (2 works well) with several layers of newspaper inside (making a sort of nest). Place colander inside, making sure newspaper comes up around at least 1-2″ high on the colander. I put a couple paper towels on the top of my garbage in the can and drain that way. Whatever is already in the garbage can soaks it up. My colander fits perfectly over the can where it can’t fall in. Great idea Lynn – thanks! Even better idea April – thanks! In my town we also have composting. I do basically the same thing but, place the grease in a compostable carton that would go out anyway. This way I can separate the real trash from the recycling and compost. I drain grease by tilting the frying pan a bit and using my turkey baster to remove the grease which I then put directly into my dog’s food dishes. No waste and I only have the baster to wash. I drain the fat off into another container, squeeze in a big squirt of dishwashing liquid, then run hot water into it and let it go down the drain. Been doing this ever since we moved into our current house 27 years ago and never had a problem with a stopped up drain. And we’ve had our septic tank pumped once; just a few years after we moved here. Some areas, like where I live don’t recycle glass, (I know strange) so putting it in a jar is my choice as well. Check with your recycling center to find out if the glass is recycled or not. Just a thought…. I use the plastic folgers coffee cans to drain hot grease into, I place my colander right on top and let the meat drain. The hot grease does not melt the can and the lid fits tight so there are no odors seeping out. I keep the can in the bottom cabinet next to my stove until it’s full then I discard it with the trash. I use the plastic folgers coffee cans to drain hot gear into, I pave my colander right on top and let the meat drain. The hot grease does not melt the can and the lid fits right so there are no odors seeping out. I keep the can in the bottom cabinet next to my stove until it’s full then I discards it with the trash. I do that, but then I put some fat each day into the dogs’ dinner. They need the fat to keep their skin healthy and supple. About 1-2 tbs a day (1 tbs per 30 lbs of dog). I also let the kitties have some, too, but not so much. There is always a grease jar in the fridge for the furry kids! Then I don’t have to buy the expensive pet store grease. Oh, and they like this grease. The petstore stuff they won’t eat! That’s what I do too. I also save my bacon grease separate for frying veggies and greasing pans. It adds amazing flavor! And that’s how most pets in the USA are obese, or suffer from diabetes and pancreatitis issues. Please don’t do this unless your pet is fit and very active (but many pet owners are biased and refuse to believe their pet is not fit and/or fat). I do this as well and my dogs are lean and shiny. Line the bowl with tin foil and it’s easily lifted up and folded up and thrown out. Then you can continue to use the bowl for other things. Thanks for the tip Rain! I also cut down on fat intake by rinsing off the meat into the bowl. Just do exactly what they said here on this site, but do it in the sink, and when most of the fat is drained off, rinse with hot water just by using your spray attachment or faucet for a few minutes. It works really well. Thanks for taking the time to comment Betty. The problem with rinsing the fat into the sink is that it can cause serious plumbing issues. That’s why I dispose of it in the trash. Actually, if the majority of the grease has already drained away, there is not enough left to clog the sink. I have been in this house for 22 years and have always rinsed off the beef this way. In those 22 years, I have never called a plumber for problem with my kitchen sink. Instead of the bottom bowl, I have always put foil down in the sink (pressed a little into the drain, and with the sides pulled up in a “bowl-like” fashion) to capture the hot grease. This way I am not dirtying up an extra bowl. That is a great idea – thanks Margie! Great idea Amy – thanks! I’ve been doing this for 40 years, just assumed everyone did this. I put my drained fats into bread bags or cereal bags. Great idea Margaret – thanks! The way you are doing it is putting a glass container in with the regular trash, when clearly it should be seperated into glass only containers for proper recycling. May I suggest that if you just leave the grease in the bowl in which it was drained, when it cools, it will congeal and can easily be put into the regular trash. Or, what I do sometimes is put a paper towel that I just slightly used into the grease and let it absorb into it, and then can be placed in trash. Thanks Brenda, that’s a better idea! OK, a step further, add stale nuts, old dried fruit and birdseed for a wonderful treat that most birds LOVE! Thanks for the idea Marybeth! Love that idea…nothing then goes to waste. That’s the way I’ve been doing it for years – always drain into a pan and then when congealed, into the trash. Depending on what I used to produce grease, I usually pour some of the grease over my dogs food. They love it, it gives them a thick shiny coat and it’s like a treat because we don’t eat red meat very much (like a couple times a month). My dog knows when I get out my speckled tin cup that she’s getting a treat! I always use that one because I put hot water in it till I’m ready to dump the grease, and it keeps the grease liquid until it’s her dinner time. I have been doing this for a while now. I put it in the refrigerator until full, then dispose of it.